Mathew 13: What are you doing to work on you? I hope your week has been good so far. I was in Missouri over the weekend and up/back Chicago yesterday – so lots of time on the road for me. I was thinking about the Fruit in Mathew 13. For me, fruit seems to be Character + Our Work for His Kingdom. To me this Fruit and harvest has both an internal (Fruit, noun – as in fruit of the Spirit) and external component (verb, as in harvest). Meaning, its our response of obedience to God’s calling in who we are (internal character) and what we do about it (external actions). So, our fruit would be done with sincere hearts that know our position but can be demonstrated by serving His Kingdom. If either part of that equation is missing, well, we have all seen those results, haven’t we. As for the levels – scripture has them as “…bearing fruit and brings forth, some a hundred fold, some sixty and some thirty.” Pondering this, I realized that God started here with the highest result, the 100. Could it be that He expects our best! And in His grace he makes provision for us – accounting for our humanity? For me, to prepare my soil – or better – to keep it prepared; I must balance myself between time in His Word, Time spent in Prayer, Time with other believers and Time in ministry. For best results for me, I need to start the day aligned with him. I try to do this with my quiet time (word and prayer) the first thing in the morning. This way, my trajectory is adjusted correctly for the day. Otherwise, I find myself reacting to the world’s situations. I read “The Time Keeper” by Mitch Albom. It gave me a new appreciation for cherishing each moment. That is what I am doing right now by writing to my fellow servants in Christ – to share in His glory with men who are called to His service. We only have today to work on us! 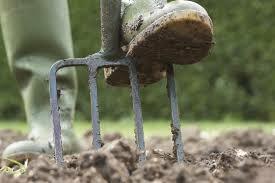 ← Mathew 13: How is your soil?